The snow is falling, fires are lit, rosy cheeked children are running around in lovely woollens! Oops! None of that! It's the Southern Hemisphere here and we're getting ready for a lovely summer holiday. But it's still Christmas time and Santa is ready to take orders as we wind down the school year. So I gathered some teachers together to offer some great Christmas ideas for your classroom - and a few Secret Santa freebies for you to download! 1. Have your students create their own Christmas spelling lists. How many words can they come up with? Which ones do they think are most difficult? Are there any spelling rules they can find or use? 2. Use Christmas words for spelling or vocabulary activities. What do words we hear around Christmas mean? How can we use them? Where do they come from? 3. Write stories about what Santa does in his free time. He can't work all the time, can he? What does Santa's down time look like? This is a great activity which can be used no matter how old the students are. Want a great Christmas book study about Santa enjoying a holiday? 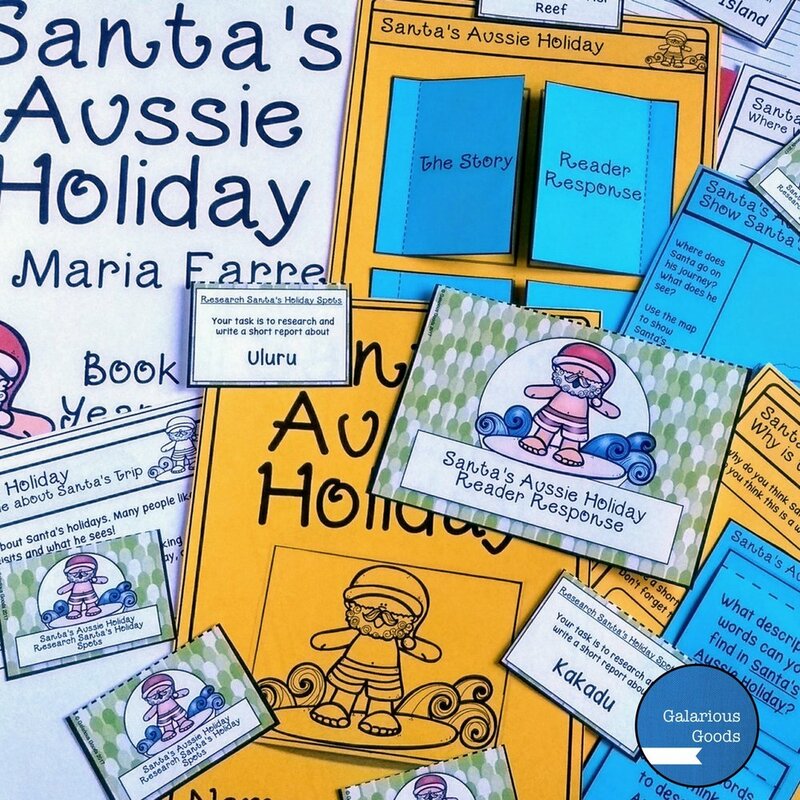 Try Santa’s Aussie Holiday! Get this FREE Secret Santa Surprise from Top Teaching Tasks! 4. Compare Santa and St. Nick. Where do our current beliefs about Santa come from? What are other Santa traditions from around the world? How can students share this information with others? Can they work collaboratively to share this information? 7. Write a new Christmas recipe. What food do we eat at Christmas time? How do we prepare it? Students can invent a new meal or dish to go with Christmas lunch or dinner, explore what recipes look like and write their own. Brave teachers might even let them prepare it! 9. Explore Christmas food around the world. What do people eat for Christmas where it's hot? Where it's cold? What traditional Christmas cakes and biscuits can you learn about? Why are certain foods associated with Christmas? 10. Create a map of Santa's home at the North Pole. What would it look like? What rooms would Santa definitely need? This is a great way to revisit mapping skills and birds eye perspective. Students can extend this by writing a 'tour' of Santa's home. 11. Research the Arctic. We know Santa lives at the North Pole, but what else do we know about the northern part of the world? This is a great research activity which all students can get involved in. 12. Create a Christmas board game or card game. This is a great way for students to think through procedures, instruction writing, and what makes an effective game.They also have to think about how to connect Christmas with games. 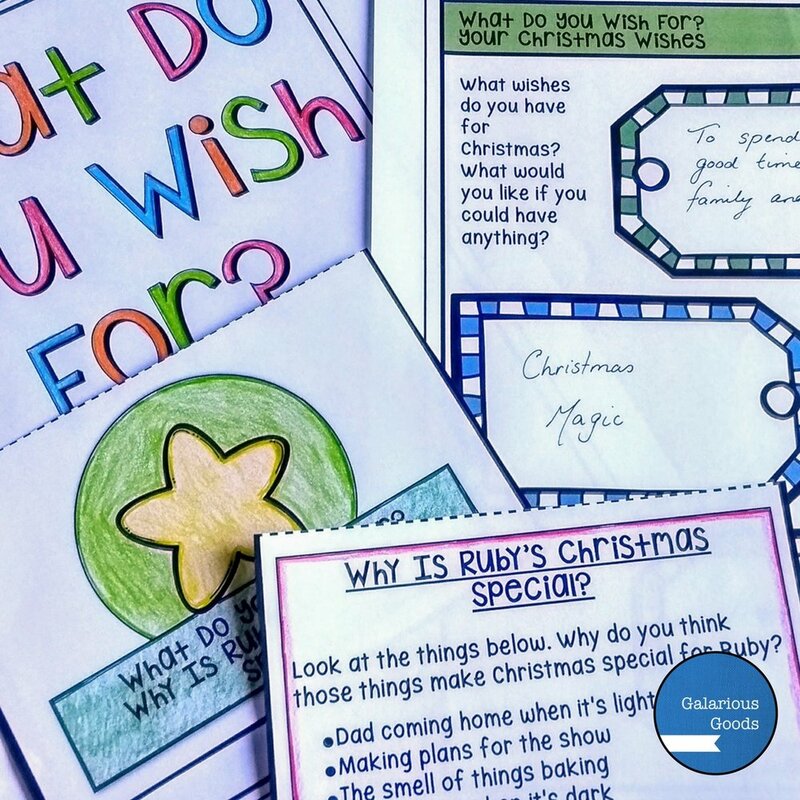 You can get more great Christmas teaching resources at Teachers Pay Teachers.